We were pleased to hear Lt. Gov. Smith talk about issues that West Central Initiative and our west central Minnesota partners are also addressing. In fact, in some cases we are already at the forefront of finding creative solutions to rural Minnesota’s most pressing problems. For example, back in the ’90s, our research showed that there would be a skilled worker shortage in our region. From that, the Workforce 2020 incumbent worker training program was born. More recently, our Competitive Workforce Grant program provides funding for organizations to test out innovative workforce development projects. You can learn more and read about past awardees at cwg.wcif.org. When it comes to early care and education, WCI has worked diligently for 12 years as part of the Minnesota Early Childhood Initiative (ECI) to give our children the best possible start toward a healthy life of learning, achieving and succeeding. The 10 ECI coalitions that we established work in all nine of the counties we serve, plus the White Earth Nation. The Early Childhood Dental Network started with the West Central Minnesota ECI and is now being replicated in regions throughout Greater Minnesota. The ECI also introduced the PreK to Grade 3 alignment program to the school districts and communities in our region. This nationally known concept provides a framework for educators, care providers, parents and community members to align how they can better prepare young children for kindergarten and beyond. 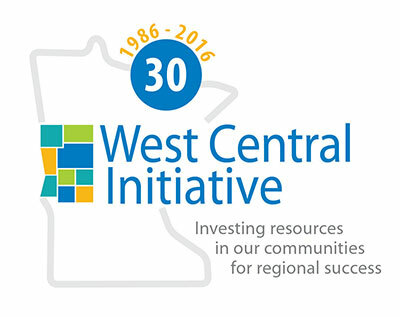 WCI is now part of a statewide “P3” design team, along with the Minnesota Dept. of Education, The McKnight Foundation and other partners, who are working on collective learning and developing strategies for improving the PreK-Grade 3 system. These are just some of the ways we respond to the needs of our region. This year we celebrate our 30th anniversary as a foundation and regional partner working to make our region the best place in which to live and work. We plan to be around a long time, thanks to the support of the communities, businesses and people in our great region. Look for us in your community, learn more about us at wcif.org or give us a call at 800-735-2239.